Don’t expose your skin to the harshness of cheap chemicals commonly found in skincare products you buy online. 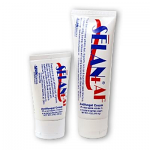 Sportaid offers a complete range of protective Home Medical Skin Creams from SELAN which are soft and gentle on the skin. These skin creams not only prevent dry, chapped skin, but also leave your skin free from stickiness and greasiness. 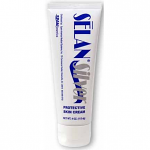 Fight the root causes of many skin problems with SELAN Protective Cream and SELAN+ Zinc Oxide Barrier Cream, and keep your skin healthy, beautiful, and radiant by using our impressive selection of SELAN Protective Creams. 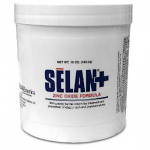 Browse through our selection of Home Medical Skin Creams below or feel free to call 1-800-743-7203 for help choosing the right product for you. And with our Low Price Match Promise, you really will come out a winner big time. 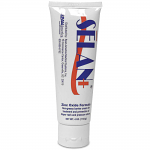 Save BIG on Home Medical Skin Creams at Sportaid! We guarantee satisfaction for new customers and those who have been repeatedly to any extent. After over 25 years in the business helping people find the right Home Medical Skin Creams at the lowest prices, we continue to lead the industry! We carry a large selection of wheelchair cushions, wheelchair parts, and wheelchair accessories. We are capable of beating any competitor's advertised price, just call! Our customer service staff has over 50 years of experience, plus over 90 years of combined wheelchair use experience. We look forward to working with you! This was my third time ordering tires from Sportaid, and I am very satisfied with the price and structure of these tires. Thanks much Sportaid for your service and quick shipping.